I've never driven a vehicle bigger than a sedan. We currently own one SUV, and a sedan which I drive. I guess I still don't have the confidence to be behind the wheel of something bigger. In a few years, J plans to sell our sedan and get another SUV or mini van for me. I think I need to practice now with the SUV. =) Incidentally, I got invited to test drive a Foton vehicle. It got me interested after I looked up the brand and learned they have a new line of sporty and family size vehicles that will be showcased at their big show. 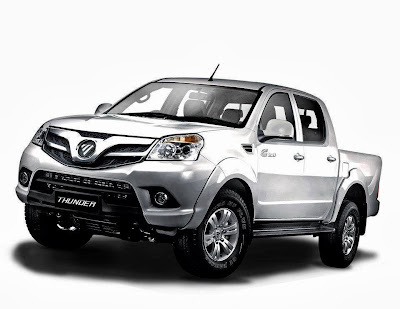 FOTON has passenger and commercial vehicles, and heavy-duty trucks. 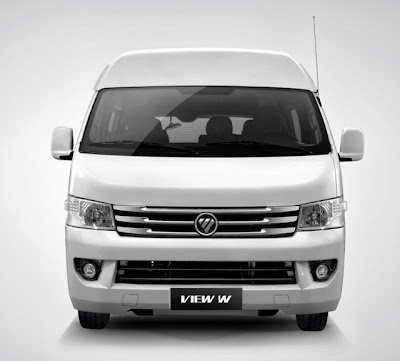 You can test drive all of them at FOTON's Big Show 2013 at the World Trade Center this weekend. Customers can TRADE-IN their existing cars on the spot, or avail of BIG DISCOUNTS and BIG REWARDS with a purchase of any FOTON vehicle at the event. I'm looking forward to watching the Foton Dancing Wheel Loader during the show - a first in the Philippines! Lots of giveaways await guests, and more freebies when you test drive their passenger vehicles. 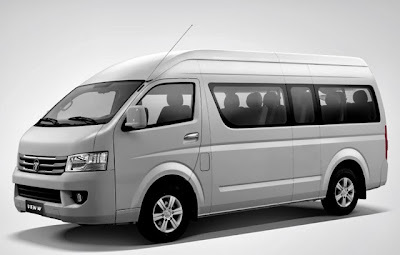 This sleek FOTON View Traveller passenger van will also be launched at the show - perfect for big families and for traveling. Business owners can also consider this as a company vehicle or shuttle for employees. Professionals and technical experts will be on hand to assist and train visitors. If you're a Nuffnanger like me, just register for the event and you can test drive their passenger vehicles, plus get the chance to win an iPad Mini and any of 10 gift certificates! Just enter the Rev Up Your Ride with Foton blogger contest here and share why you'll swap your old car with a Foton. Anyone can register. The form is also in the contest page. Pre-register now and see you at the launch on October 25, 2013! 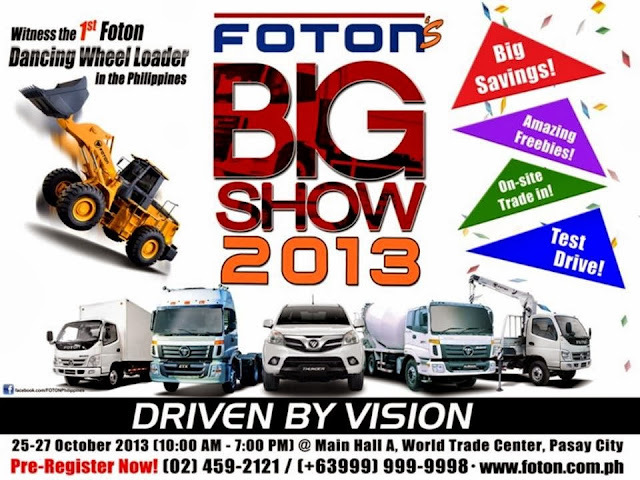 Foton's Big Show will run until October 27 at World Trade Center, Pasay City. Check out Foton Philippines Facebook page for more details about the event and contest.